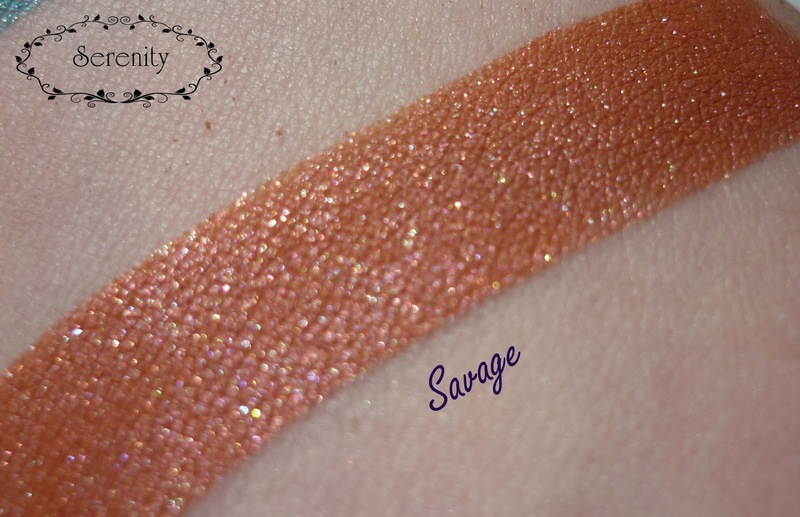 Serenity: Notoriously Morbid - More Swatches! 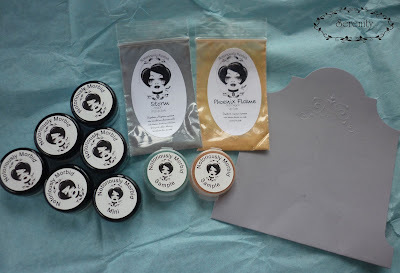 I ordered the complete Lady Lovely Locks set, a mini jar of Lunatic Shrilling (this shade was reviewed in my first post) and a sample of Storm and Phoenix Flame. 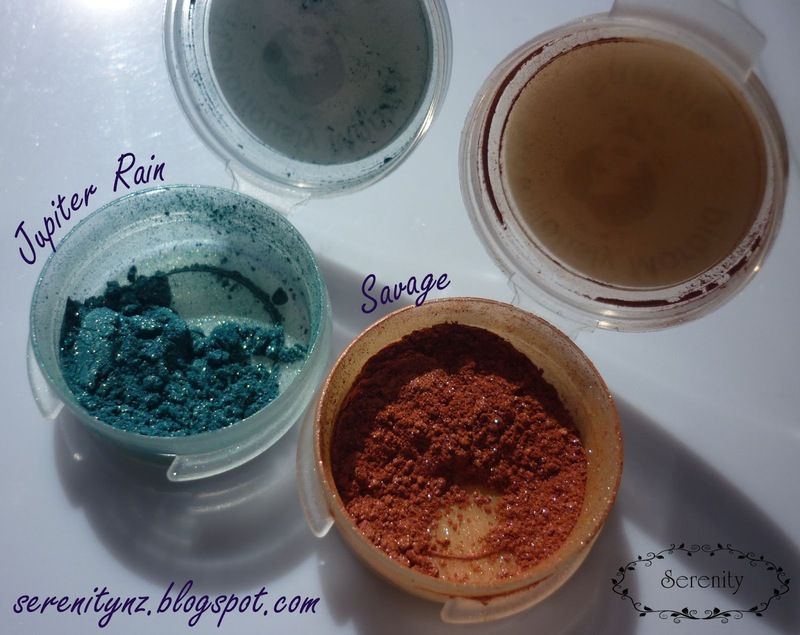 I was sent samples of Jupiter Rain and Savage for free. Carrie also included a gorgeous card with a handwritten note inside and a very generous coupon code - awesome customer service! 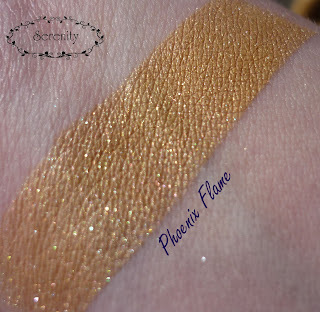 Phoenix Flame: "A light high shimmer orange/peach that will give you an unusual sparkle." 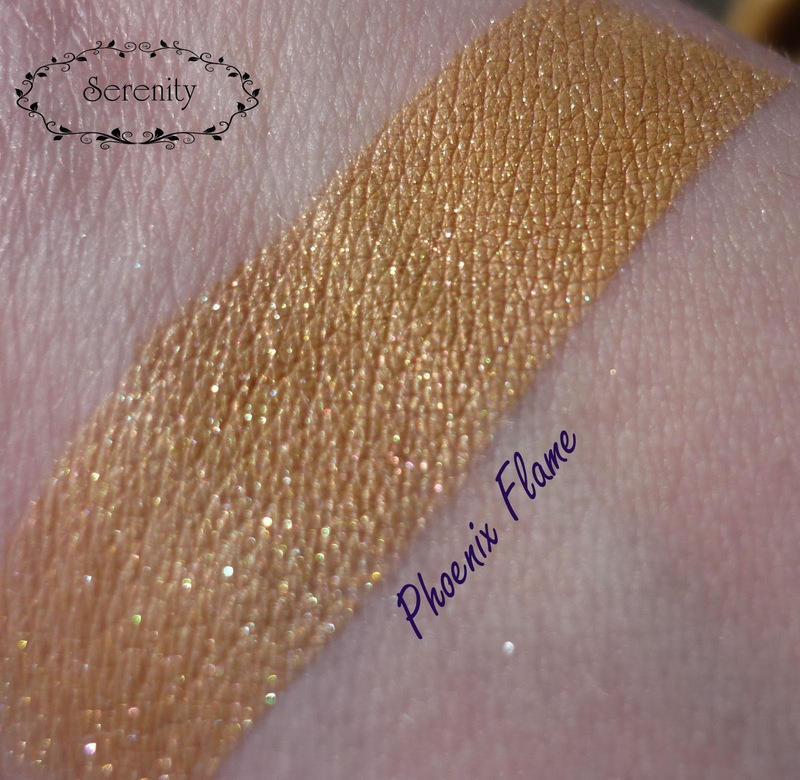 A very shimmery, almost caramel color - I think this one is pretty unique, and am looking forward to having a play with it. 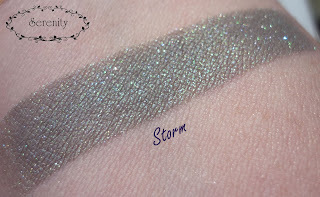 Storm: "A dark gray with a green sheen and blue and green sparkles." I loved this one even more than I thought I would - I love that its a subdued shade, but it still packs a punch of color. Definitely has a 'Storm' feel to it too. These two colors are so sparkly! Look at the size of the samples - and they're in nice deep clamshells too, so product doesn't fly everywhere when I close the lid - definite bonus!! 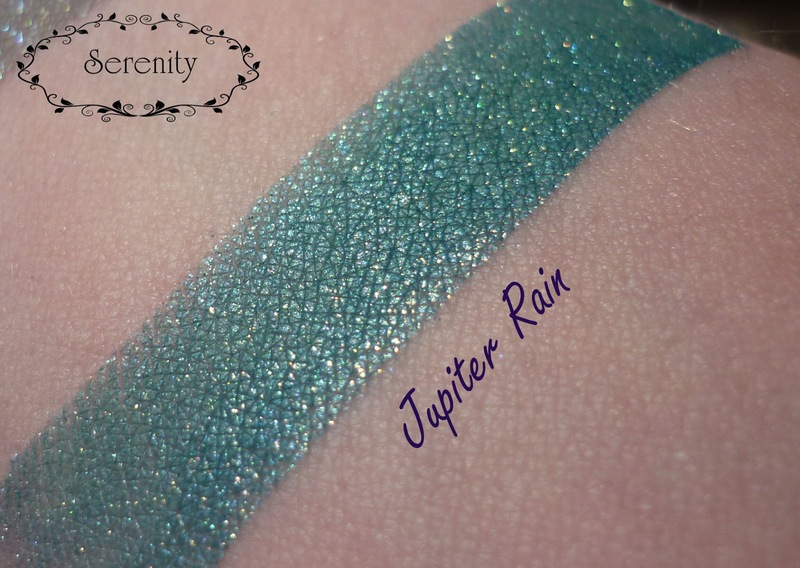 Jupiter Rain: "A dark teal with gold sparkles." This one is crazy pigmented and I think the gold looks amazing with the teal. Love the fact that its a charity one too. 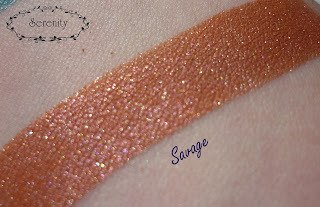 Savage: "Orange with aqua sparkles"
Lots of sparkly color in this one! Not normally a color I would wear but I'm definitely going to be trying it out soon. This was a sneak peek from the 'Scary Tales' fall collection, which has just been released. Overall, definitely impressed as usual with the quality of these shadows, so amazing from such a new company! 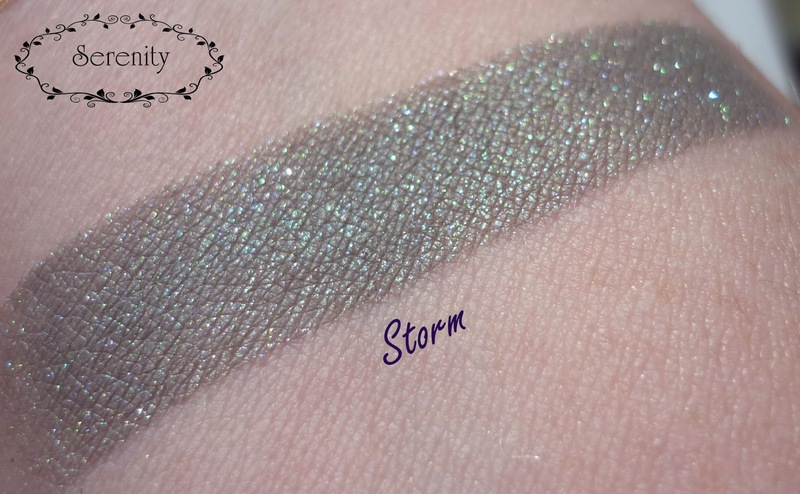 My fave of the bunch has to be Storm, closely followed by Jupiter Rain, but they all have special spots in my collection!! If you haven't tried Notoriously Morbid yet, I strongly recommend them - follow on Facebook, as they run some fantastic deals on Fridays. Notoriously Morbid shadows are available from their Storenvy shop, or their Etsy shop.